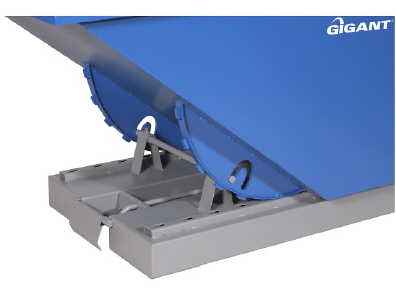 "Gigant" Open tip container with automatic emptying device.For handling loads in different types of waste. Fully welded design and fitted to a robust bottom frame with fork pockets. 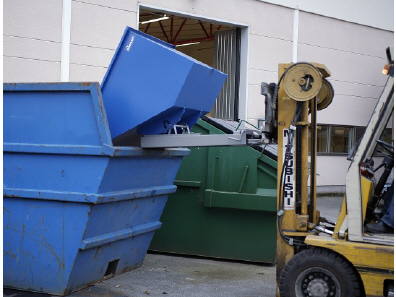 Safe tipping design with heavy-duty gears, that control container tipping. Handle on the side that permits emptying manually. 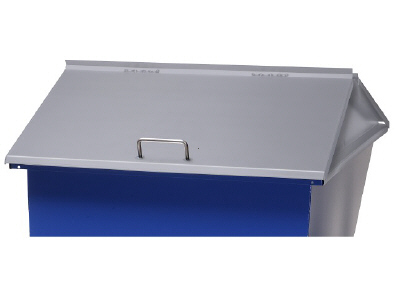 The tip container up to a volume of 1100 L is powder coated in a very durable, structured finish, blue RAL 5005. Frame in grey RAL 7037. 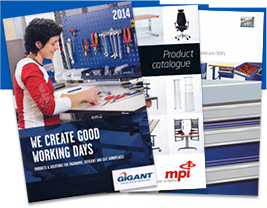 Volumes from 1600 L are wet enamelled in blue RAL 5005. At an extra charge all tip containers are available in the following colours: Red RAL 3020, White RAL 9010, Orange RAL 2008, Yellow RAL 1018, Brown RAL 8017, Green RAL 6032, Grey RAL 7037 and Black RAL 9005. 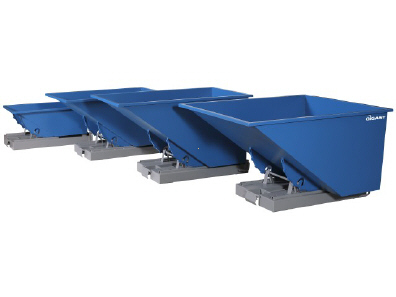 Also available in a fully welded design: request a quote. Possibility of a corrosion protection finish, approved for outdoor use. Request offer. 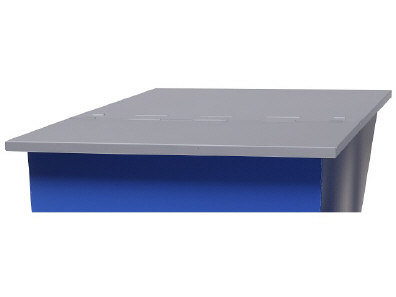 Flat or high cover in powder coated, grey RAL 7037 sheet steel. Set of castors consisting of 2 fixed and 2 swivel solid rubber castors, diameter 160 mm and overall height 200 mm.